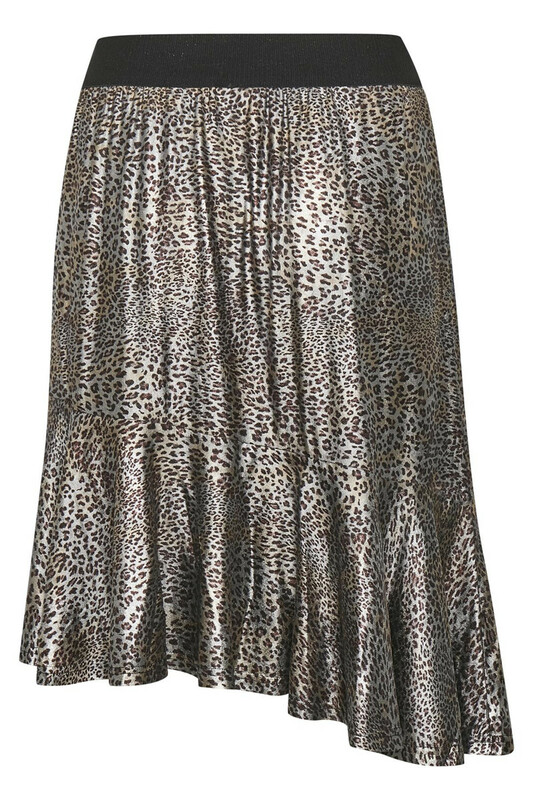 Beautiful and elegant skirt with metallic look from KAFFE. 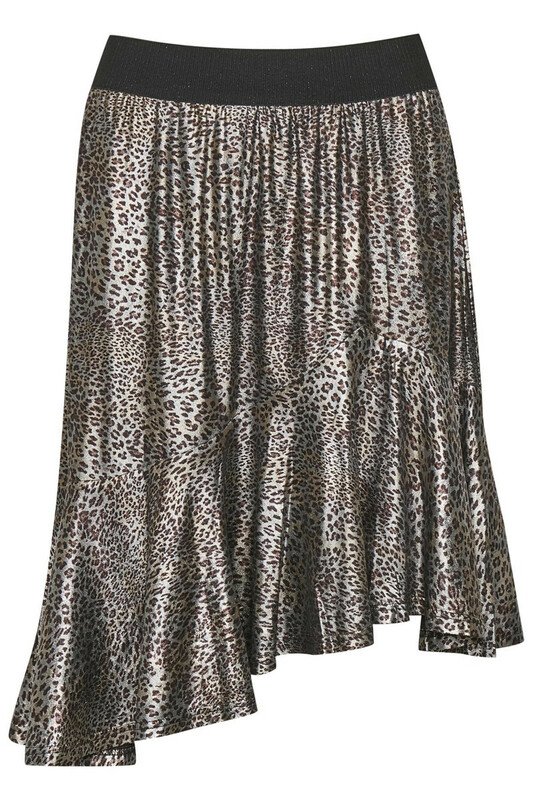 The skirt has a wide elastic waistband, an asymmetrical look with a slightly shorter front than the back in length and fine ruffles. 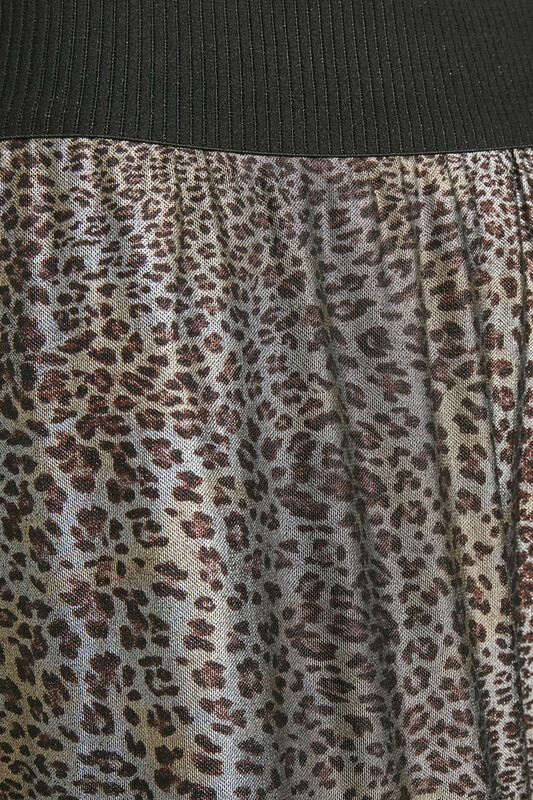 You do not get beyond this beautiful and very trendy leopard print! It's a really nice skirt that can be used for both everyday use and festive purposes. It's easy to style with a classic knitted sweater for an everyday look and a silk top for a perfect evening look. Or it can be combined with KAtille Turtleneck for a completely festive look.